Third Party Player Ownership (TPPO): A legitimate player financing mechanism requiring only “light-touch” regulation; or a threat to the integrity of sporting competition which must be legislated out of existence? In order to protect the integrity of the game and the players, the Executive Committee took the decision of general principle that third-party ownership of players’ economic rights (TPO) shall be banned with a transitional period. The matter is now back in the hands of the TPO working group, under the chairmanship of Geoff Thompson, for the relevant technical regulations to be drafted. The draft will be submitted to the Players’ Status Committee and then to the Executive Committee for approval. Clearly, implementing a ban on TPPO is now at the top of FIFA’s regulatory agenda. First present an assessment of the phenomenon of Third Party Player Ownership (TPPO). Secondly, go on to assess the prospects for the successful implementation of a ban on TPPO. focusing on the possible legal barriers to such a ban. The main advantage for clubs acquiring players whose economic rights are, at least in part, owned by a third party, is that they can acquire these players more cheaply, as they do not have to pay the full cost of the player’s economic rights which are held by the third party. However, by the same token, when/if the player is transferred on then the club does not receive the full value of the transfer fee which goes to the third party. In September 2014 an article in The Guardian newspaper highlighted the de-stabilising impact a ban on TPPO might have on Brazilian football where the phenomenon is particularly prevalent; it is also a very well developed practice in Portugal and Spain. It raises particular challenges in terms of protecting the integrity of sporting competitions, as (part) ownership of the economics rights of a player(s) may allow the third party to exercise undue influence over the player, a potential threat exacerbated by the issue of anonymity of third party investors. It promotes player contractual instability by encouraging frequent transfers of players. [like] the practice to payday lending, in that it seems an easy solution when debts are pressing, but only creates … “a vicious cycle of debt and dependency”. In England, the Premier League introduced a ban on third-party ownership at the start of the 2008-09 season, primarily, it argued, in order to protect the sporting integrity of their competition. This followed the Carlos Tevez affair; West Ham United was revealed to have signed Argentinean international Carlos Tevez (now with Juventus) through a third party ownership arrangement but failed to disclose the arrangement. In addition, the owner of Tevez’s economic rights was able to influence when, and to which club, Tevez was transferred. “Third party ownership threatens integrity of competitions– if the same individual or company owns or controls various players at different clubs, this could influence results,” … adding that there is also a moral and ethical concern about the appropriateness of a third party owning the economic rights to another human being and then trading this asset. Contractual instability, transfers driven by players’ owners purely interested in profit a significant revenue being lost to the game were also major concerns. “Nor is third-party ownership compliant with Financial Fair Play … Clubs could rely on speculative investments from a third party to acquire players they cannot afford.” He stressed that UEFA is ready to act on the issue and that a decision has been made in principle to prohibit third-party ownership in UEFA competitions. At the March 2014 meeting UEFA’s Professional Football Strategy Council (PFSC) the PFSC’s members reiterated their concerns about third-party ownership and supported UEFA’s plan to ban the registration of players subject to third-party ownership arrangements from its competitions. In September 2014 The Guardian newspaper reported that UEFA was considering independently banning TPPO. In September 2014 the FIFA Executive Committee called for an outright ban on TPPO. Juan de Dios Crespo is the owner Ruiz Huerta & Crespo, one of world’s leading sports law firms, having been a practicing lawyer since 1985. He is one of the leading specialists in sports law and the application of EU law, having acted in more than 250 cases at the Court of Arbitration for Sport (CAS). These have included many of the most important sports’ litigation cases of recent years e.g. Mexès; Rodríguez/Bueno; Granada 74; Webster; Pizarro; and Matuzalem. 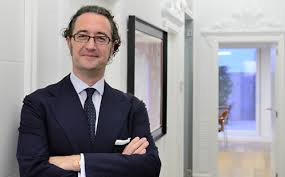 He is the Arbitrator of the European Court of Arbitration of the European Handball Federation (EHF); Arbitrator of the International Chamber of Commerce; Arbitrator of the Valencian Chamber of Commerce; and Arbitrator of ALADDE (Latin American Sports Law Association). He was the external lawyer for the Spanish Football League from 2000 to 2010, and has been legal advisor to football clubs, players, federations and leagues around the world. He was also one of the four legal members of the Independent Review Group. Juan is also a Visiting Professor on several leading law Masters programmes around the world including: the Master FIFA-CIES; University of Valencia-Law School, Sports Law Master; International Master in Sports Law of ISDE; Global Executive in Sports Law of ISDE (and other on-line masters of ISDE); International Máster of Sports Law of the University of Lleida; Master in European Sport Governance (MESGO); the Master of Sports Law of Aix-Marseilles University; Master on International and Comparative Sports Law in Saint-John University (New York).